1 room number 17 sq. m.
Air conditioning, TV (18 channels), wardrobe. Bathroom with shower cabin, sanitary ware and toiletries. Hotel orange house-almost at home! Every day so many people come to Moscow that sometimes it is not clear how and where they are located. Accommodation options today are more than enough, but not all will be 100%. High cost, poor accommodation, noise from the street, disgusting service-these and many other disadvantages are found everywhere. However, in Orange House they will not meet. Three-star hotel in practice far exceeds its status, offering guests the best service and maximum services that will make your stay in the capital comfortable. The hotel offers a wide range of services that will make their stay as comfortable as possible. You can always order a transfer from the station or airport. To do this, you can call the hotel +7 495 9616220 or contact the managers by e-mail orangehousehotel@gmail.com, specifying the time of arrival. It is possible to provide a car of a certain class depending on the purpose of the trip and the number of people. The hotel is ready to provide visa support for all guests during their stay in Moscow. To get a list of required documents, you can also contact the staff and start the process of registration now. The whole procedure is very simple. It is enough to fill in a special form on the hotel website, and then pay the fee. After payment for the service, the hotel will send an invitation that will help to cross the border without problems. That is why the hotel is often approached by residents of Moscow, which arrive business partners or friends from abroad-the whole procedure of visa processing is faster than in small firms that set high prices for the issuance of invitations for foreign citizens. A convenient navigation system and text in English will allow a foreigner to fill in all the fields of the form and spend a minimum of time to receive an invitation. It is impossible to stay hungry in Orange House! On the ground floor of the hotel there is a restaurant serving Russian cuisine. You can relax by the fireplace and enjoy delicious food at a reasonable price. Room service is also always available for guests who are tired after travelling. If necessary, you can order in the restaurant to prepare for a gala dinner and other events, discussing the menu and even the location of tables. 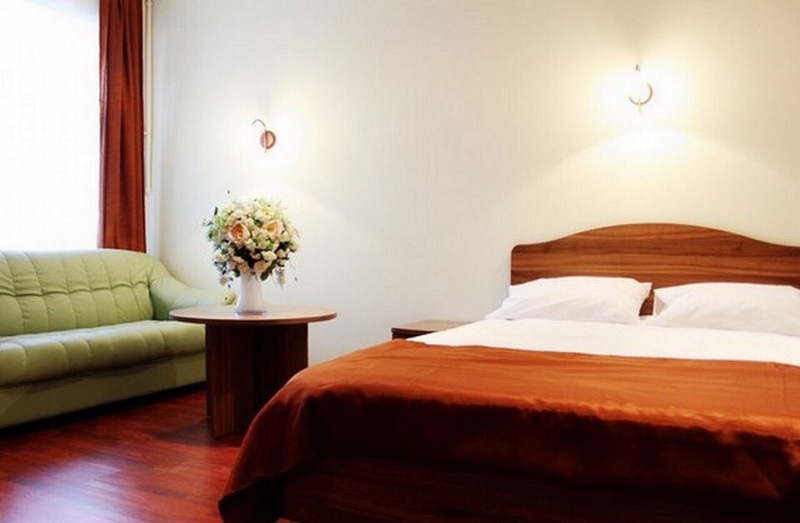 Rooms are cleaned daily in the most comfortable time for visitors. Before settling necessarily carried out disinfection of the bathroom. The room is equipped with air conditioning, plasma TV. Internet and Wi-Fi are free throughout the hotel. Reception is open 24 hours a day. At the reception you can ask for a Hairdryer, kettle, iron, Ironing Board, heater. In recent years, it has become very fashionable to organize weddings or birthdays in hotels, as well as business events and meetings. In Orange House, this opportunity is also available. The hotel is chosen for meetings with business partners and for the organization of seminars, master classes. With the hotel staff you can always discuss all the issues, make a menu and think about the style of the holiday. The hotel staff will do everything to make guests remember this event, and they had a good mood. The staff speaks English and the hotel should be considered for accommodating foreign guests who will not experience any discomfort, will always be able to count on the help of qualified managers who will explain where to eat, how to get to the city center or to the airport. Book a hotel in Moscow – what is worth knowing? Many believe that hotels in Moscow are very expensive. Indeed, the capital is high prices, but you can always find affordable accommodation. Especially because the competition between three-star hotels is very high, and each of them tries to offer guests the most favorable conditions. One of the secrets of finding a cheap accommodation option is early booking through the site. The closer the trip, the more expensive the room will be. To find the right hotel in advance means to save money. After booking, you can write to the managers and ask them questions about payment, room selection, transfer and other services. Seasonality is also worth considering when planning a trip. 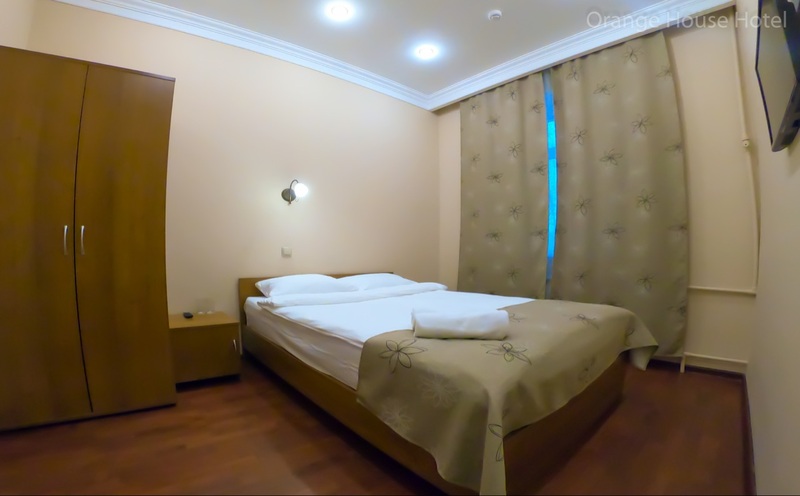 A lot of tourists come to Moscow in spring and summer, and therefore, during this period of free rooms may not be. If the trip falls at this time, it is important to be puzzled by the search for a number for 3-6 months. In addition, many tourists in Moscow on the eve of the New year. A trip to the exhibition in the area of Expocentre also involves early booking of hotel accommodation, because most often there are a lot of guests, and everyone tries to find accommodation as close as possible to the gathering place. And the hotel is just in the area. It is very easy to book and pay for a room. This can be done with the card. It is important to note that all prices are in Russian rubles. Payment takes place as soon as possible, and very soon the hotel will send a confirmation of the reservation, which will be the main document upon check-in. Where is Orange House hotel? One of the advantages of the hotel is a good location. To reach the hotel from the stations of the Crimean or Tula. The first option is the most convenient. From the metro station Tulskaya will need to go to the hotel by bus or taxi. The hotel is located next to the Expocentre and is a great option for those who come to major exhibitions and congresses. This is where international events and business meetings are held. And since trips to the capital can take a long time due to congestion, it is very important to find a accommodation option that will allow you to be on time. The hotel on Tula is a good choice for business people. Close to metro and ICC. This is a great option for those who are in Moscow in transit, because from the hotel you can easily get to Paveletsky station, from which the airport Domodedovo airport Aeroexpress. You can also quickly find the hotel metro Crimean. From the station to the hotel can be reached on foot. Often it is here that tourists stop, who are not very familiar with the city and plan to move on the subway. Hotel on the metro Tula in this case allows you to simplify logistics and not get lost. The station is very close – just 5 minutes walk. It is enough just to focus on a large and noticeable Expocentre – a hotel next to it. It is impossible to miss the hotel – orange mansion attracts attention. The hotel, both outside and inside creates an atmosphere of relaxation and tranquility. The quiet area in which the hotel is located allows you to relax after a busy day. The rooms have excellent sound insulation and noises will not disturb. Near-the Park, thanks to which the air is very fresh and clean. You can also come to the hotel by your own car – there is a spacious and convenient Parking near the building, where the car will be safe. There is still an opinion that the hotel 3 "stars" in Moscow is an expensive pleasure. Therefore, many choose hostels, believing that it will save. However, it is worth spending at least one night in the hostel to appreciate all the advantages of the hotel. During a business trip or transit to relax in the hostel, is unlikely to succeed. Especially if we are talking about accommodation in a common room, where 6-10 people will live. Extraneous sounds will be very distracting, even if the neighbors come across quiet. You can take a separate room, but very often the cost of such hostels in the center is comparable to a hotel room, where living conditions will be much better. The hostel may not be lucky with the company. Can get caught, as intellectuals and groups of friends who will drink alcohol, laugh loudly or even start a fight. By the way, in the hostel no one is responsible for the safety of property, and valuables have to hide or carry, which is not always convenient to do. Hotel 3 "stars" in this regard is more secure. The rooms have safes, where you can put everything you need and do not worry about the possible theft. And finally, the main drawback of the hostel-General amenities. After a tiring trip often want peace, and idle conversations or the need to go somewhere to freshen up, not happy. The hostel often has a bathroom, toilet and kitchen – shared. This means that contacts with strangers can not be avoided. In addition, you can not be sure of the integrity of the owners of the hostel and the quality of cleaning. In the bathroom you can pick up a fungus, and in the bathroom conditions are sometimes even worse. Of course, you can try to find a hostel, focusing on reviews, but many of them are custom-made and do not claim to reliability. Even the apartment, for rent, is fraught with many disadvantages, which the hotel is definitely devoid. So, it is never known exactly how conscientious landlord. Booking accommodation on the Internet, you can buy a beautiful photos processed in a graphics editor, and in practice the situation will be much worse, with poor plumbing and dirty furniture. The owner may not respond to complaints. If a similar situation occurs in the hotel, there is an opportunity to talk with the staff, who will help on all issues. In addition, the apartment can get thieves, while the hotel values its reputation and tries to ensure maximum safety of guests. All rooms are equipped with a wardrobe, beds with orthopedic mattresses, on which sleep will be as pleasant as possible. Junior suites are additionally equipped with a coffee table and a leather sofa. Standard room-the most economical option. Its area is 17 square meters. It is possible to book a room with a single bed or two single beds. If you want to take a bigger room, the category "Comfort" - what you need! On 23 square meters there is everything you need for a good rest and stay. Just like in the Standard version, you can book a single bed or request a room with two single beds. It is worth considering that the categories of TWIN are sorted the fastest, and therefore, it is necessary to be puzzled by the search for a room in advance. Couples with children can stay in the family room. The area here is 36 square meters. As a nice addition to the atmosphere – a cozy leather sofa. One-room Junior suites are most in demand among those who come on a business trip or on a business trip. The Windows of this room overlook a quiet street, and nothing prevents proper rest. Its area is 30 square meters. The room has a sofa, comfortable bed. Here you can not only work but also relax. You can see in detail not only the rooms, but also the interior of the whole hotel on the website, where you can see photos of the lobby, rooms, restaurant. It is also important that our own website is a confirmation of the integrity and reliability of the hotel, which increases the level of confidence in it. In addition, before booking there is always the opportunity to ask a question to the Manager in real time. To do this, you just need to fill out a form in the form of a pop – up window-the employee will respond immediately. This is very convenient for those who can not make calls (for example, is at work), but wants to book a room as soon as possible. With the Manager, you can discuss issues such as ordering a transfer, providing an extra bed or accommodation in a room with children, booking a restaurant for an event, etc.also residents of the capital who book a room for their friends, relatives or colleagues can arrange a meeting and visit the hotel to inspect the rooms and talk with the Manager in person. Orange House is a hotel created for maximum comfort!